Chevrolet is a quickly accelerating automotive make that lives up to the high standards of its competitors. All Chevy models are built soundly and meant to live longer than average lives. The boys at B&C Auto Center can help you maintain the vitality of your Chevy. 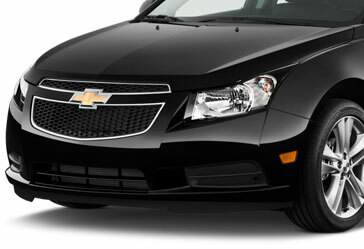 We perform Chevrolet repairs in the Willow Glen area in San Jose and provide guaranteed results. We pride ourselves in our knowledge of everything Chevy and our ability to pinpoint problems and quickly correct them. At B&C Auto Center , we repair and service all kinds of Chevrolet models including the Malibu, Impala, Camaro, Cruze, Silverado, Suburban, Tahoe and more. We also welcome the infamous Corvette. If you are a hybrid driver and have recently purchased the long-awaited Chevy Volt, we can help you with your automotive problems too! The Chevy hybrids are a type of automobile that require a certain finesse. We have the experience necessary to repair anything Chevy. We acknowledge the fact that you depend on your Chevy daily and do our best to get it working properly in as little time possible. Expect us to explain to you what exactly is going on with your vehicle before we make any fixes. This is part of our customer service guarantee.